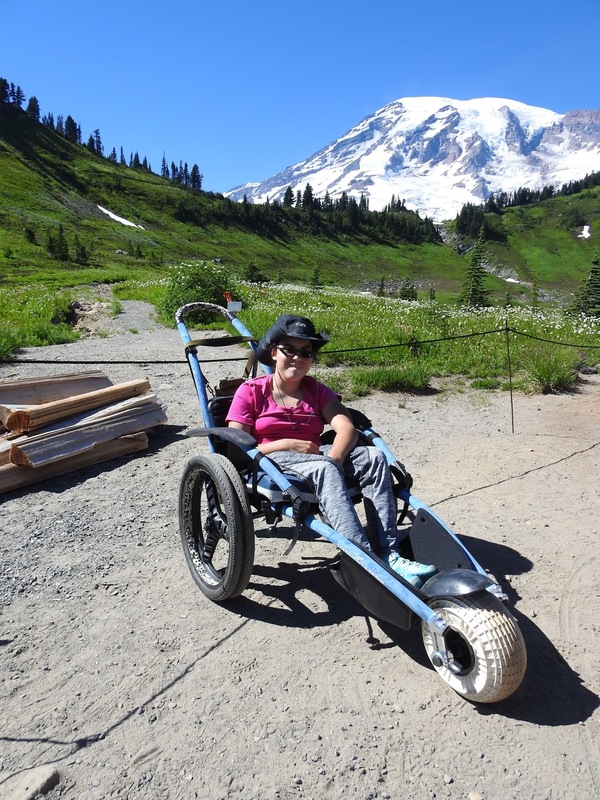 Kellisa loves being outside and on a trail, but she is always the only one on wheels. 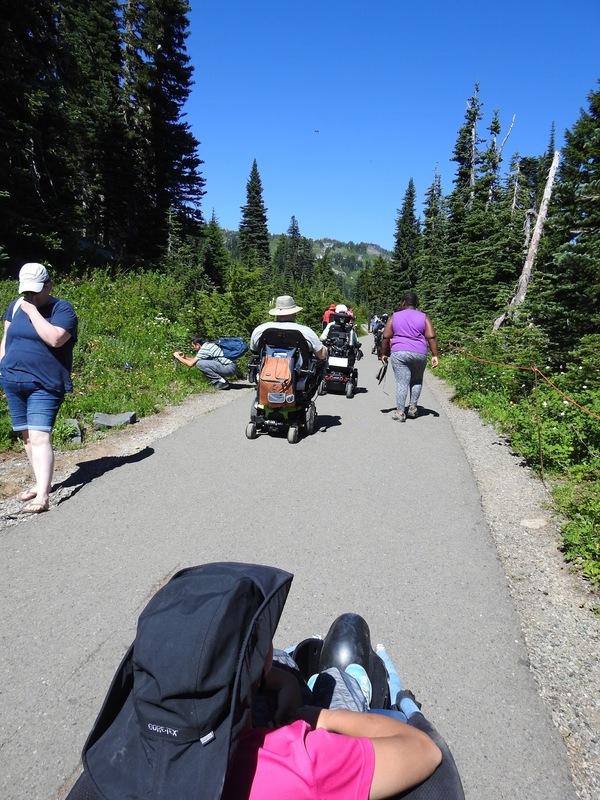 We've been known to fly and/or drive crazy distances for the right trail. 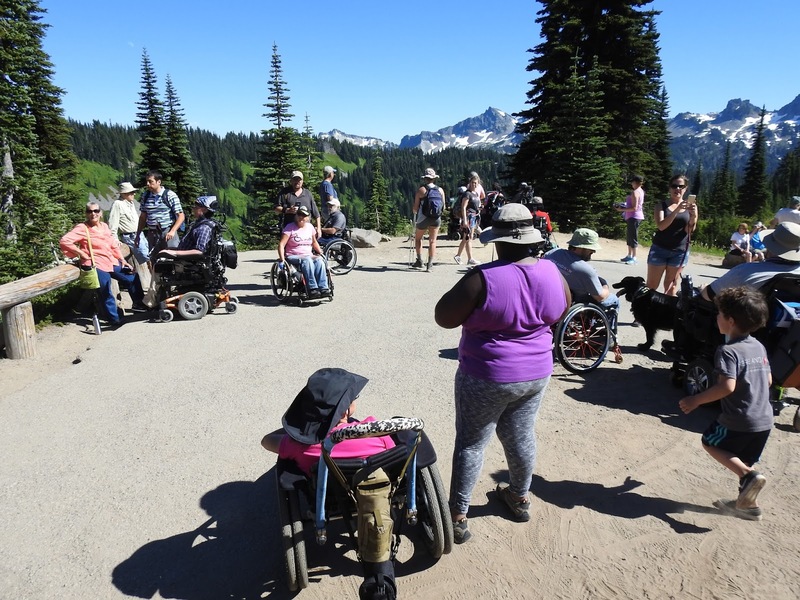 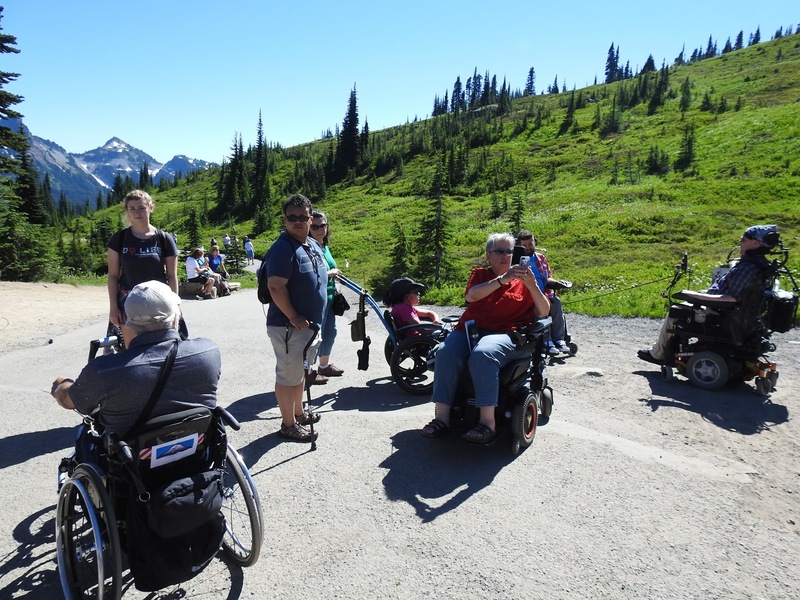 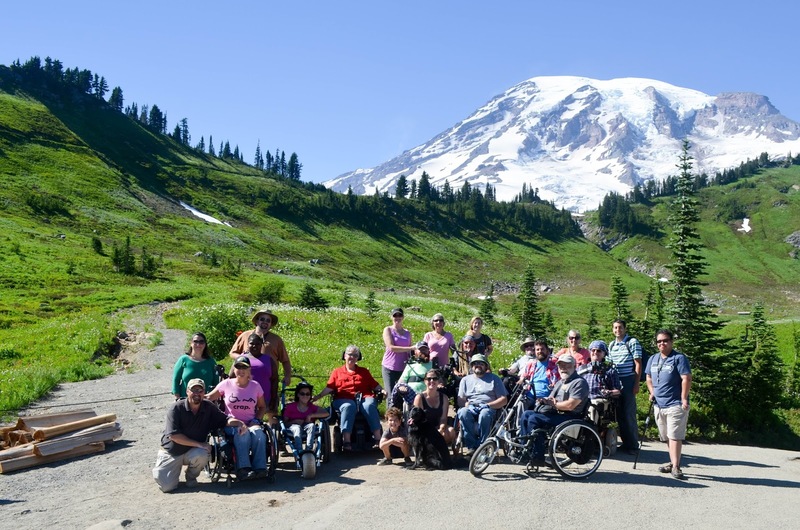 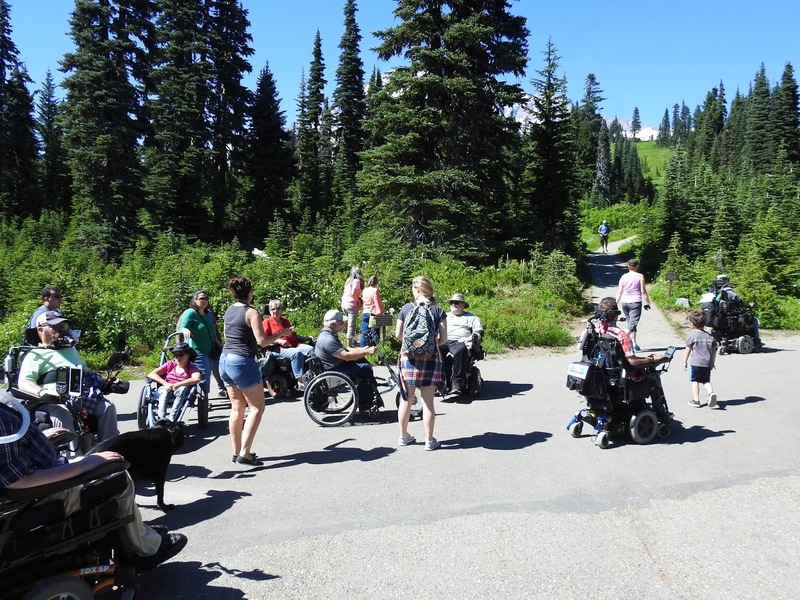 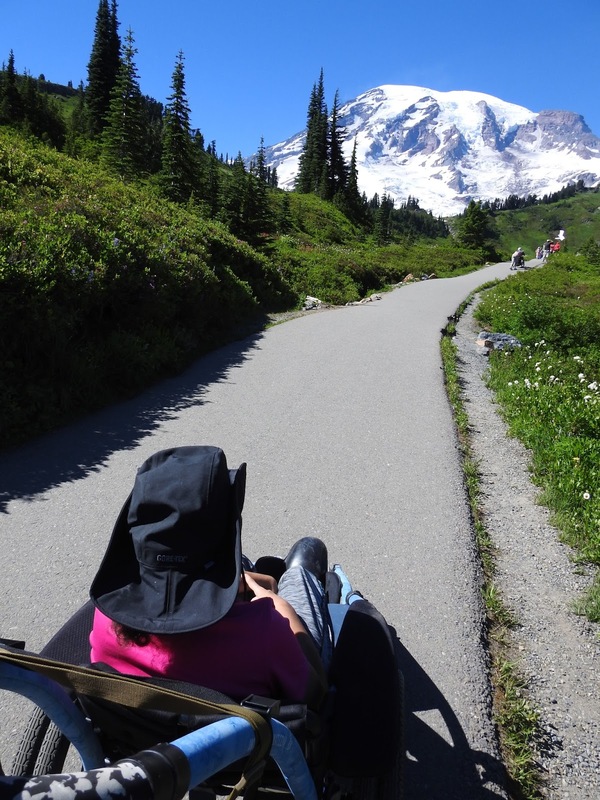 Therefore, it was a no brainer to drive up to Mount Rainier National Park for a hike with other wheelchair users once we found out about the Ride Rainier 2017 event from a FB friend. 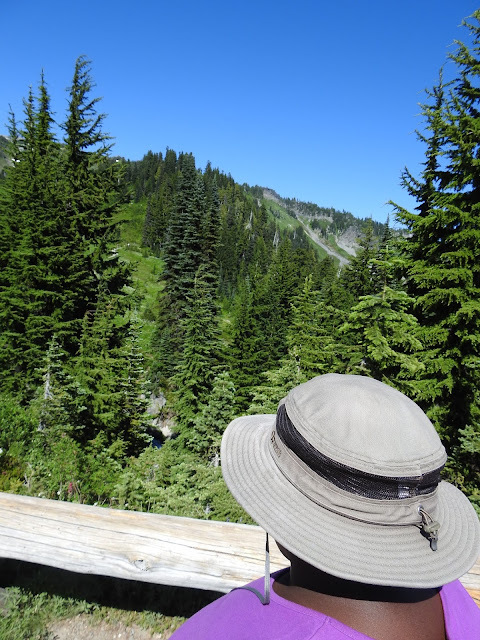 Kellisa always lights up when we are getting ready to start a hike. It usually takes some time at the trailhead to get everything just right and Kellisa sits there with a huge smile and will let out an occasional giggle as she waits to start a new adventure. Her pre-hike excitement lit her up several notches that I didn't even know she had once she saw many other hikers at our trailhead who were also in wheelchairs. 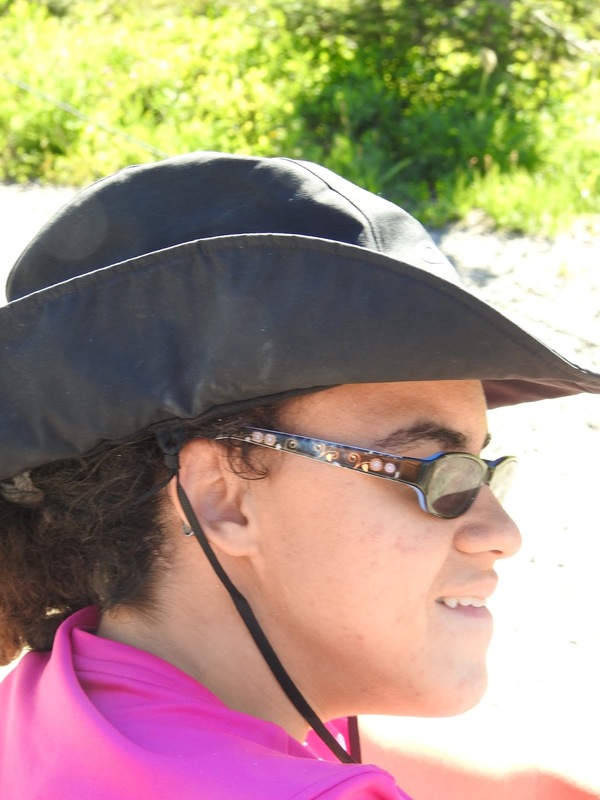 She was with her "peeps" and she knew it. 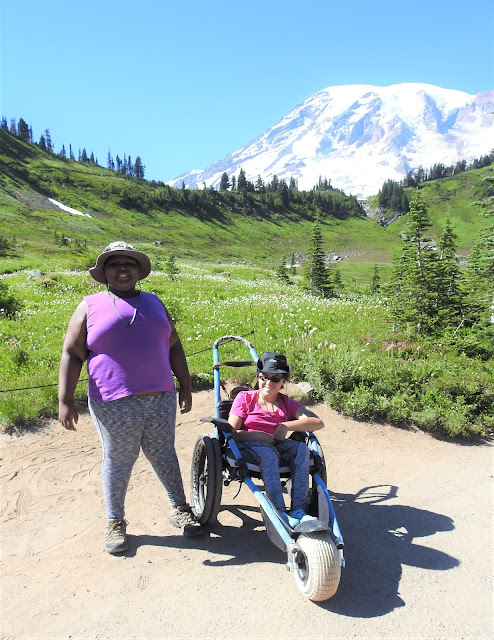 Besides the extra excitement, I could see Kellisa also felt a sense of belonging as she was clearly more confident, verbal, and out going during the entire hike. 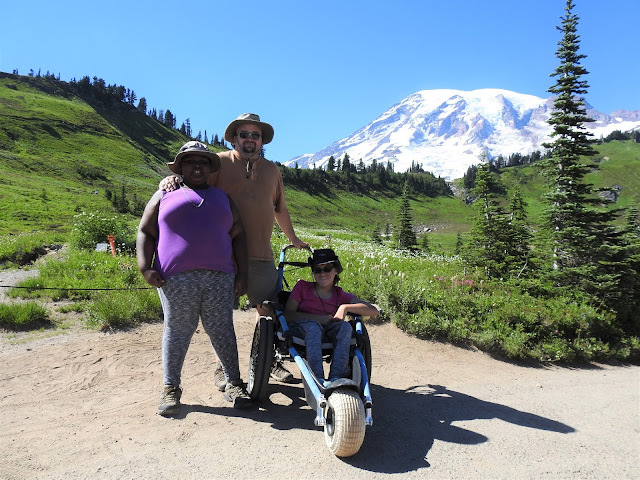 We are so thankful for the opportunity to share this experience with others on wheels (and their friends and family too) and hope to join our new friends on future hikes! 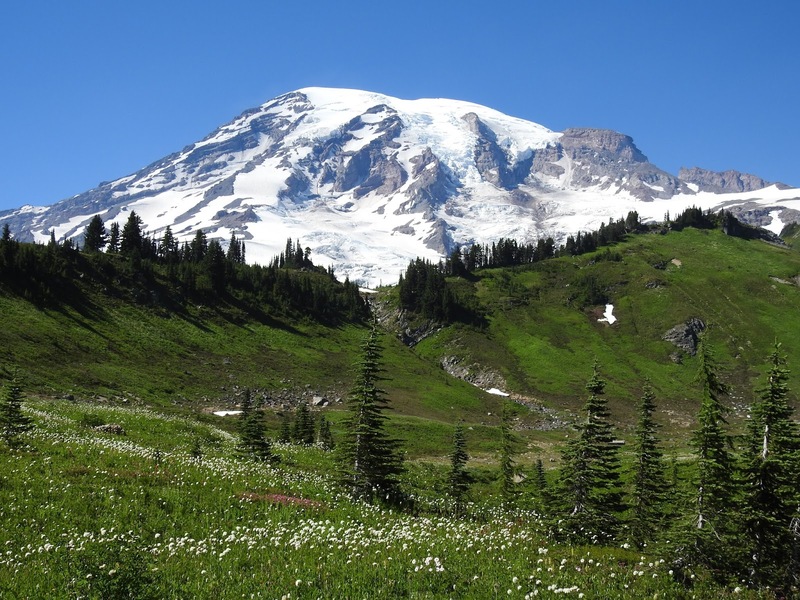 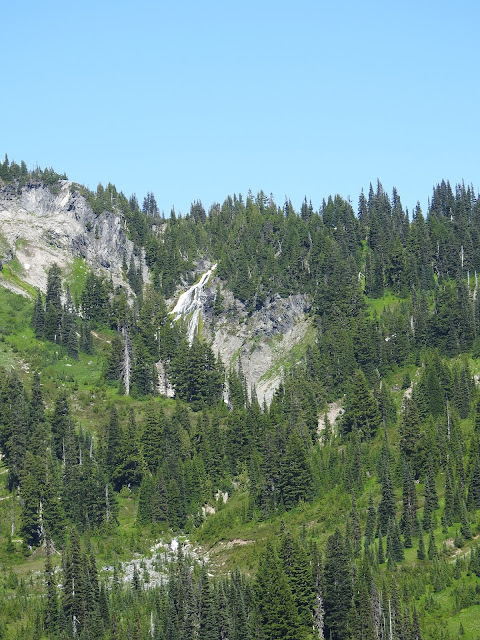 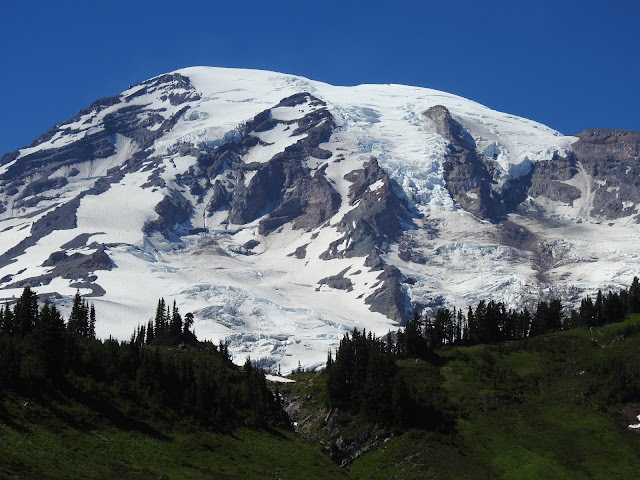 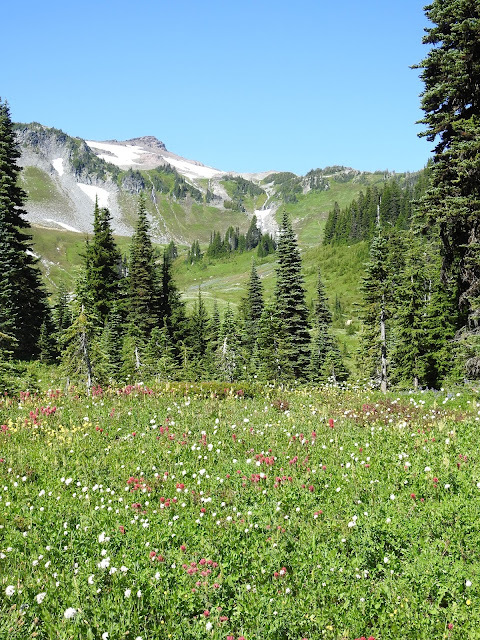 And for those keeping track, Mount Rainier National Park was Laurel's 22nd and Kellisa's 28th national park visited.